This is a first in a series of commentaries I would like to make a habit of doing on some of my favorite artists. 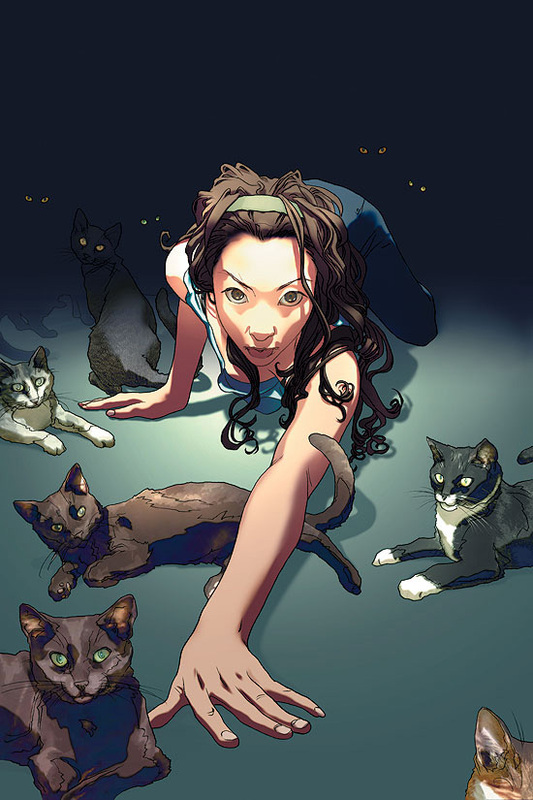 The first artist I would like to mention is Josh Middleton <--click, it's his website. Go on. Do it. Joshua Middleton is somewhat of a mystery to me still. I have only one comic that he has done both interior and cover art for. After seeing this comic, I was very taken by his artwork. It is very dynamic. You can tell he has drawn from life more than your average comic illustrator. His foreshortening is incredible. I hate trying to foreshorten. It makes me feel like such a beginner. May I also note that he pencils, inks, and digitally colors all of his own work. The dream of any illustrator is to be fully self-sufficient and complete a work from pencils to print. Middleton just has an amazing talent for composition. Every work has it's own sense of life and motion. Viewing his work is like viewing a freeze-frame of the conception of his idea for the drawing. He is currently illustrating for Supergirl, and I would go so far as to buy a DC comic to see more Middleton, and if you read my other blog you will know that I exclusively read Marvel. It's artists like this that make me lean towards the dark side.